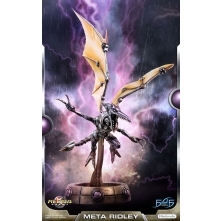 Pre-orders for Meta Ridley are finally upon us. Don’t miss out on this amazing opportunity! Pre-orders will open right after F4F’s Friday Q&A with Chocks and A on the 18th of January 2019, 10:00 PM HKT. Pre-orders will remain open until the 22nd of February 2019, 10:00 PM HKT. On 25 January 2019, 11:00 PM HKT, the validation process will begin. A “VALIDATE NOW” button will go live on your Meta Ridley order page. NOTE 1: The “VALIDATE NOW” button will only be available to those who successfully placed their pre-orders BEFORE the validation process; the button will only be available for 24 hours. NOTE 2: The sooner you click the “VALIDATE NOW” button on your order, the lower the number will be on your Meta Ridley statue. NOTE 3: You MUST click the “VALIDATE NOW” button to secure a Signature Edition of your pre-order. The Standard Edition of the statue is NOT eligible for Signature bonuses. NOTE 4: If you pre-ordered during this 24-hour Validation Period, you are also guaranteed a Signature Edition. However, you will NOT have a “VALIDATE NOW” button available to you since you did not place your pre-order before the validation process began, which means you cannot compete for a chance at low numbers. NOTE 5: If by the end of the pre-order period the Exclusive Edition does not reach a total of at least 1,000 pieces sold, the pre-order period will remain open until it hits this goal or until before production begins. If at least 1,000 pieces are sold within the five-week pre-order period, the pre-ordering process will proceed as normal. Both the Meta Ridley (Standard Edition) and Meta Ridley (Exclusive Edition) each cost USD 599.99 SRP + shipping. Yes, Flexipay will be available when pre-ordering your Meta Ridley statues, up to a maximum of twelve (12) months payment terms. You may find the various Flexipay options under the “Additional Information” section of your desired product. You may cancel your orders, but the 10% initial deposit is non-refundable, and you incur an Administration Charge of USD 5.00 per payment to be refunded. For more information, please visit the Cancellation section of our website. As much as possible, First 4 Figures shoulders Customs fees and taxes to ensure a smooth and hassle-free transaction from purchase to delivery. We are able to do so by strategically setting up our warehouses in every corner of the globe. However, in the event that your order will be delivered from a distant warehouse, any additional fees or taxes (if any) are of the buyer’s responsibility. For more information, please visit the Shipping section of our website. Shipping costs are charged on a per item basis. 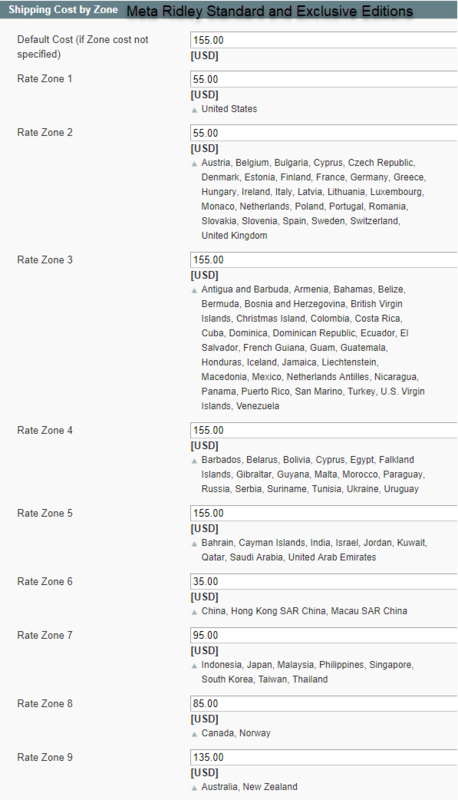 We currently do not allow combining of shipping costs. If you forgot to validate your pre-order, you will still receive your order when the statues are scheduled to be released, but you will not be guaranteed a low-numbered statue nor will you be receiving a Signature Edition of your order. Unvalidated pre-orders will be slotted in after the 24-hour Validation Period closes, and the number on your statue will depend on how soon you placed your pre-order during the pre-order period. Our Meta Ridley statue is part of our all-new Metroid Villains line, which means all statue numbers (except for #1 and #2) are up for grabs. If you authenticate your Meta Ridley statue and continue to purchase and validate the succeeding statues in the line, you are guaranteed to have matching statue numbers for each one. Statue numbers and any other form of numbering merely represent the edition size of each product and do not have any implications on the quality. Our Meta Ridley (Standard Edition) statues may be available for purchase at a local retailer near you once these statues are released, but our Meta Ridley (Exclusive Edition) statues are only available for purchase on our website. 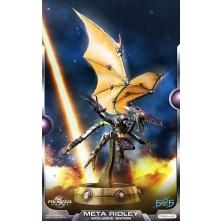 For more information and high-resolution images of our Meta Ridley statue, kindly click HERE. If you have any further questions or concerns, please refer to the HELP section of our website. Alternatively, you may also contact Customer Service through our CONTACT US online form, or you may leave a comment below and we will get back to you shortly.